George Clifton Thompson, age 88, resident of Somerville, Tennessee, departed this life Saturday morning, October 13, 2018 at the National HealthCare Center in Somerville. Funeral Services for Mr. Thompson were held at 1 P.M. Thursday, October 18, 2018 at the Peebles Main Funeral Chapel in Somerville with Bro. Carl Doyle officiating. Interment followed in the Mt. Moriah Cemetery at Whiteville. Arrangements were provided by Peebles Fayette County Funeral Homes & Cremation Center - Main Chapel of Somerville. Clifton was born October 5, 1930 in Williston, Tennessee. He received his education in the District 15 Community of Fayette County and was a lifelong resident of the Somerville area. He was employed on the farm for Tommy Fowler as well as in the manufacturing department at H&C Table Company before his retirement. Mr. Thompson was a member of the Mt. Moriah Baptist Church in Whiteville and enjoyed farming, animals and loving on his grandchildren. 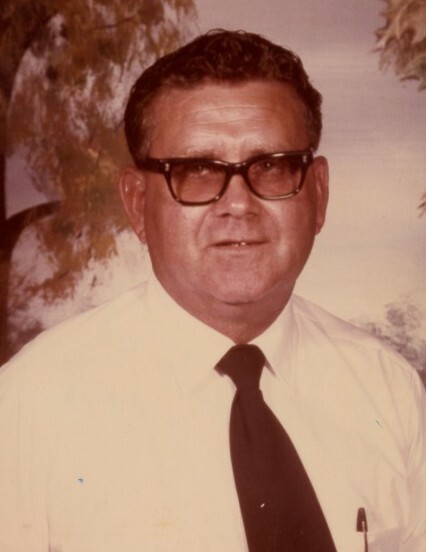 Mr. Thompson is survived by three daughters, Carolyn Rogers (L.A.) of Somerville, TN, Virginia Dale Cryer of Whitleyville, TN, Kathy Boyd (Billy) of Middleton, TN; his son, Thomas Thompson (Jerri) of Collierville, TN; two sisters, Ruby Ferge of Somerville, TN, Louise Pittman of Somerville, TN; his brother, S.T. Thompson of East Tennessee; six grandchildren and nine great-grandchildren. He was preceded in death by his parents, George Thomas Thompson and Lillie White Thompson; his son-in-law, Johnny Cryer; three sisters, Effie Ames, Vodie Cannon, Alvie Cannon; and two brothers, Herbert Hamm and J.C. Hamm. Those honored to serve as pallbearers were Thomas Sidney Thompson, Clif Thompson, Rex Rogers, Freddy Dean, Todd Piefer and Joey Pearson. The family requests that memorials be directed to the Mt. Moriah Cemetery Fund, c/o Mrs. Anne Pepper, 2890 Mt. Moriah Road, Whiteville, TN 38075.